This home's sidewalks were stenciled and stained to match the walkway. Here the fence is set back from the sidewalk to provide space for public planting. Sprinklers near a sidewalk should be installed in an alternating pattern that provides complete coverage without overspray. If you live in a residential neighborhood it is likely that you have sidewalks in your front yard. If this is not the case, you may want to consider adding them. Sidewalks allow for people in your neighborhood to walk safely out of the way of traffic. One of the biggest sidewalk design mistakes is making them too narrow. Sidewalks should be wide enough to allow two adults to walk comfortably next to each other. A good standard width is 48 inches. 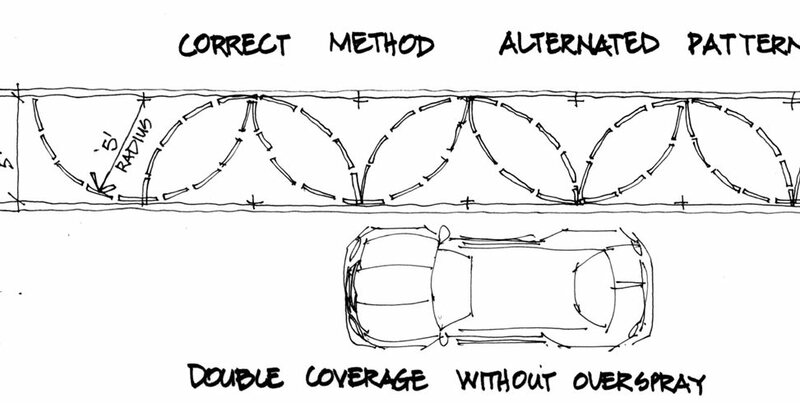 Learn more about walkway widths. A typical city or builder installed sidewalk is straight and runs along the perimeter of your property. There is often a section of plantable space between the curb and sidewalk known as a parking or planting strip. 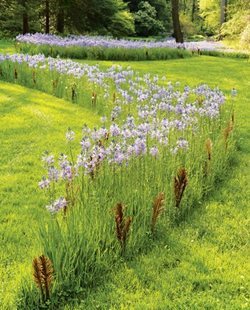 Most homeowners opt for growing low-maintenance plants or grass in this area. 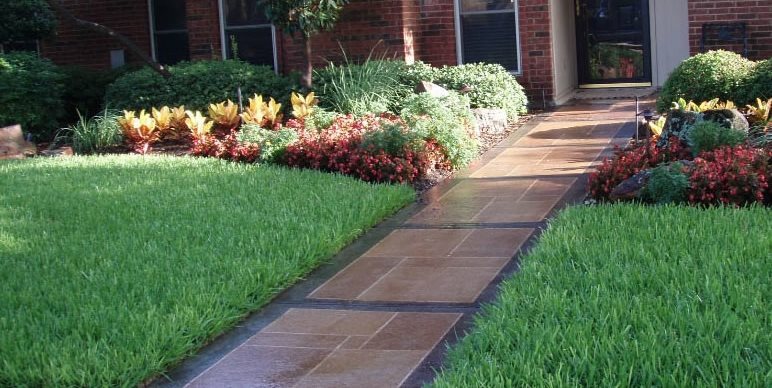 If your home does not have sidewalks, you have more design flexibility. You can have a gently curving sidewalk, or one made from a more interesting material than standard concrete. Learn more about walkway shape. Pro Tip: When selecting plants for landscaping a parking strip, pick ones that can take abuse. They are likely to get bumped by passing people, urinated on by neighborhood dogs, or tweaked by car doors. 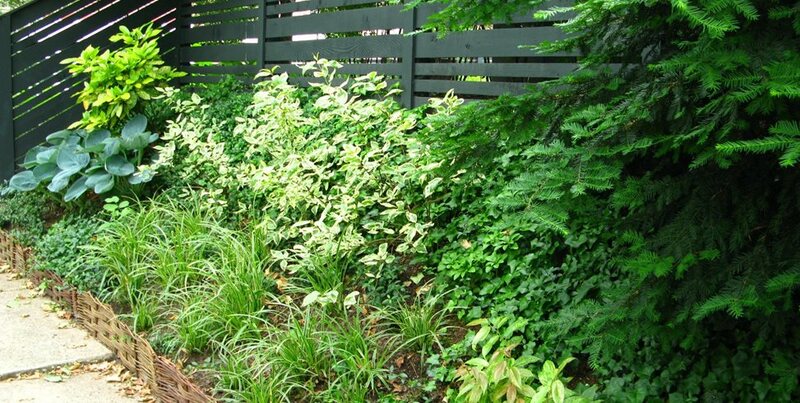 Pro Tip: Avoid plants that will grow beyond their allotted space and encroach on the walking surface. This can become a maintenance nightmare. 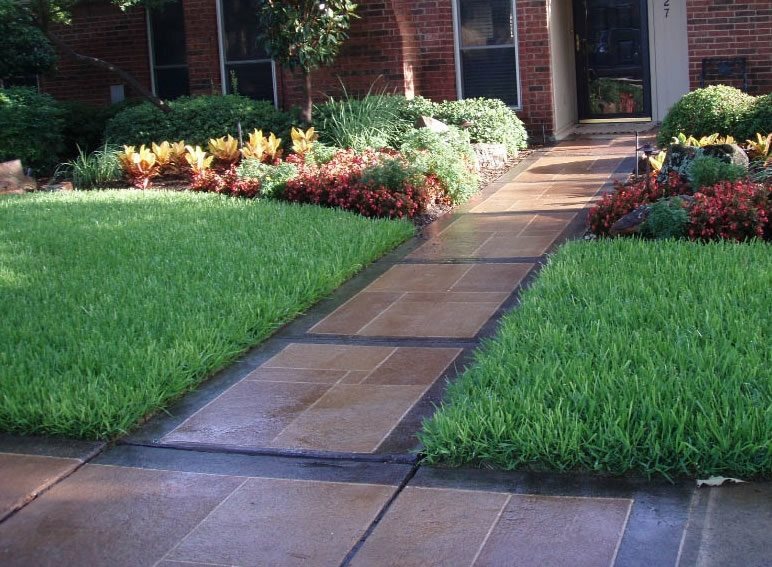 The appearance of your sidewalk greatly impacts curb appeal. Keeping things neat and tidy will make your neighbors feel that you have a sense of pride in the community. This means that plants near your sidewalk will need regular water to keep looking healthy. 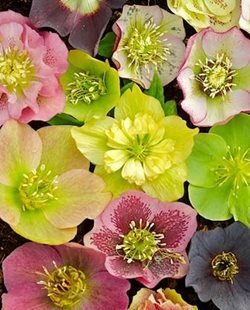 You can use drip irrigation or sprinklers. 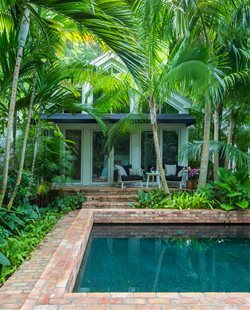 Garden Artisan Scott Cohen warns about installing sprinklers that have too much overspray. This can lead to wet cars and a slippery sidewalk. He suggests using an alternating pattern that provides double coverage without overspray. 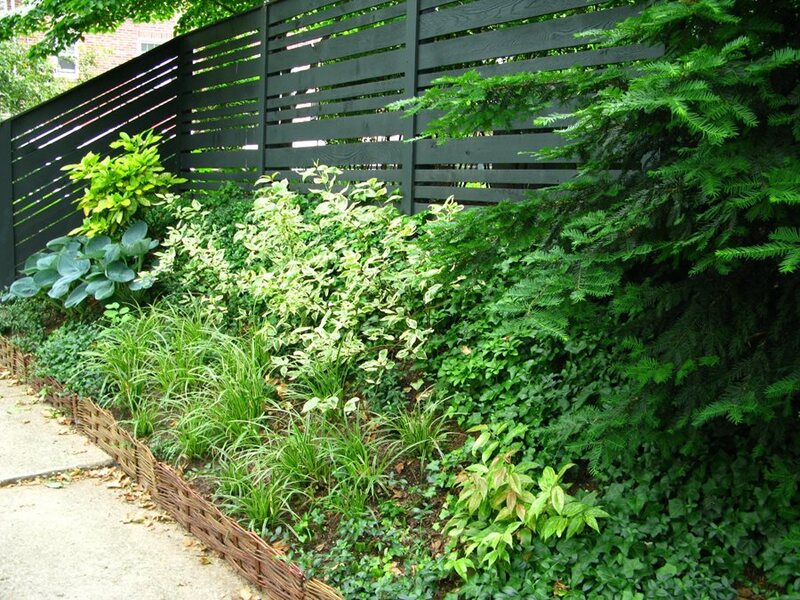 Pro Tip: Set your fence five or six feet back from the sidewalk to provide more space for public plantings. Pro Tip: Create curved planting beds within your parking strip to soften the hard lines of a straight sidewalk. Before changing, installing or planting your sidewalk check with your local planning department. Many cities have rules that govern sidewalk construction and what plants can be grown in planting strips. Certain cities, such as Seattle and San Francisco are in the middle of a movement to create beautiful and sustainable sidewalk gardens and may even help you tear out existing concrete or offer special rebates.